When it comes to luxury vehicles, there is a certain cache conferred by longevity and history. The venerable Porsche brand, for example, was founded in 1931; they have built a reputation for quality and excellence that spans generations. But what of these young upstarts, such as Tesla? Established in 2003, the automaker is a relative newcomer. 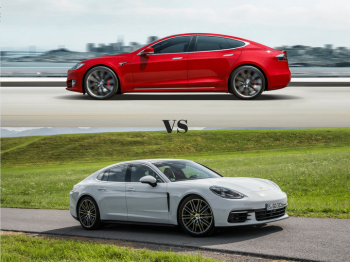 When deciding between a Porsche Panamera for sale or a Tesla Model S, does class and tradition trump contemporary technology? Which delivers the exceptional experience you want from a luxury vehicle? If you look at the numbers, it is easy to see how similar these vehicles perform in several key metrics. Horsepower and torque are nearly identical; while the Tesla accelerates from 0 to 60 over two seconds faster than the Porsche, the Panamera overpowers in terms of top speed, blowing the competition away by 20 mph. The Porsche Panamera was the first ever sedan that Porsche made, and it’s performed much stronger than even the company thought it would. The vehicle is substantially larger than most of the other cars in the Porsche line up, but its size doesn’t slow it down. At first glance, many people assume that the Model S will immediately appeal to earth- and energy-conscious drivers, especially compared to a full-size. It is, after all, a fully electric car. Tesla has broken the mold in the auto industry in that it creates high-tech vehicles that are on par with many luxury models in terms of style and comfort. So, if you are interested in a car that cuts your carbon footprint and offers stellar performance, the Tesla is the clear winner. Right? Not so fast. As usual, there is more to the equation. Inquiring about Porsche specials in Florida may be the wiser move for a variety of reasons. Both vehicles look absolutely amazing and will turn heads when you’re driving by, but the Tesla does have one small problem that buyers should be aware of before they head to a dealership. The vehicle is electric. Yes, that has been stated before but it’s something that you truly have to think about. With the Porsche, if you are driving across the country, you simply can stop in just about any town and fill up on gas. With the Tesla, however, you have to plan your drive carefully. This is because, while electric fill up stations are becoming more popular, they aren’t in every town or city yet. That is certainly something that the average person needs to take into account before they purchase any sort of electric vehicle. As well, at 18 mgp city and 28 mpg highway, the Panamera offers fuel economy that exceeds many vehicles in its class. Comparing a gas-powered car to an electric model can seem unfair – so let’s talk apples to apples. The Panamera is available as a hybrid. It can operate via the combustion engine alone, by the electric machine alone, or with a combination of both. Combined, the systems deliver 416 horsepower and acclerates from 0 to 60 in 5.2 seconds. Boost economy to a whopping 51 mpg, and have the extra confidence of your Porsche standard engine in between charge-ups. The Panamera S E-Hybrid offers other fuel-saving features, such as auto start/stop, coasting, and the 8-Speed Tiptronic S transmission. And, as you’d expect from a Porsche, it delivers a host of luxury elements that elevate your experience. Plush interiors. Sleek exteriors. Intuitive displays. Conveninent charging infrastructure. That’s simply the beginning. For the discerning driver, opting for a Porsche Panamera for sale is the best option. 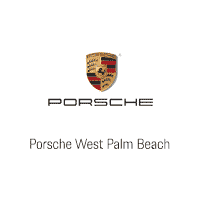 When you find favorable Porsche specials in Florida, you can drive away with a great deal – and an even better car. And then there’s the prestige. Tesla may be hip and new; Porsche is a classic that will never go out of style – and will perform like a champion no matter how hard the competition tries to outdo it. Whether traditional engine or hybrid, the Panamera offers a driving experience that surpasses virtually any other vehicle on the road.